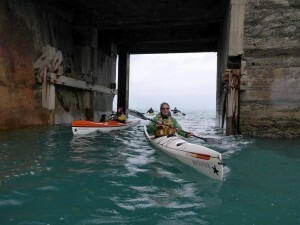 Formed in 2003 we are the leading specialist sea kayaking adventure company in Jersey. We operate all year and pioneered the development of sit-on-top kayaking in the UK. All our kayak activities are accompanied by a qualified British Canoeing (BC) sea kayak coach with the appropriate level of qualification to operate in the area you are paddling. Our instructors have a wealth of experience paddling in Jersey and overseas and know the local waters, history and environment. We believe this background ensures a better quality of service. British Canoeing level 5 coach (sea) and sea kayak leader guide and assessor. 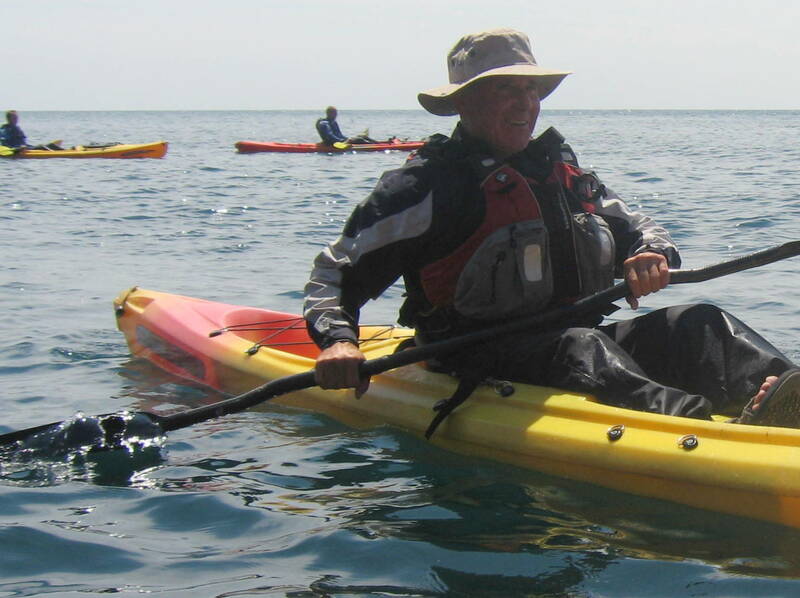 Derek is the first nationally endorsed British Canoeing accredited guide in Jersey. 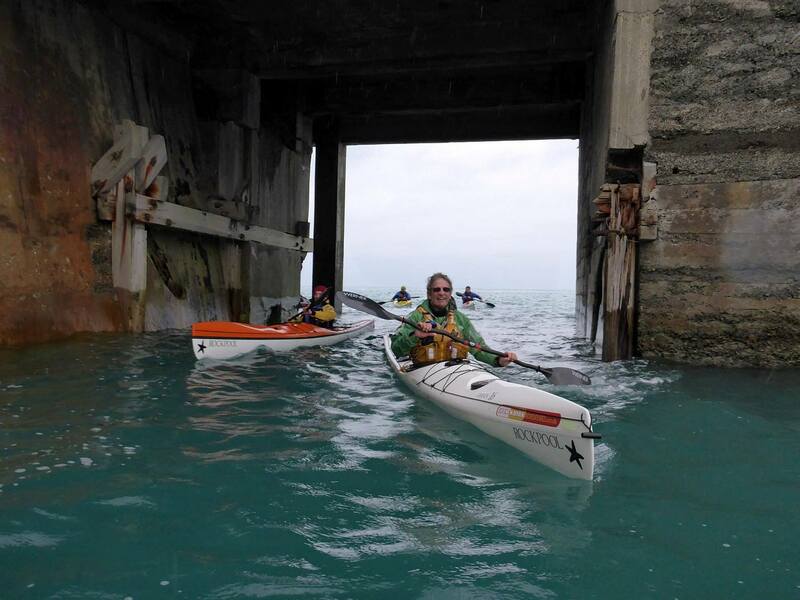 The British Canoeing kayak guide endorsement supports and recognises the additional skills required when fulfilling a guiding role on sea kayak tours and expeditions worldwide. Derek has first aid certificates, Mencap and Autism training. Institute for Outdoor Learning approved training courses: Introduction to Disability & Inclusions, Working with Disabled People in the Outdoors. Wildlife Safe (WiSe) and Jersey Heritage Trust Seymour and La Rocco Tower accredited guide. Jersey Tourism Bronze badge guide. Food hygiene level 2. 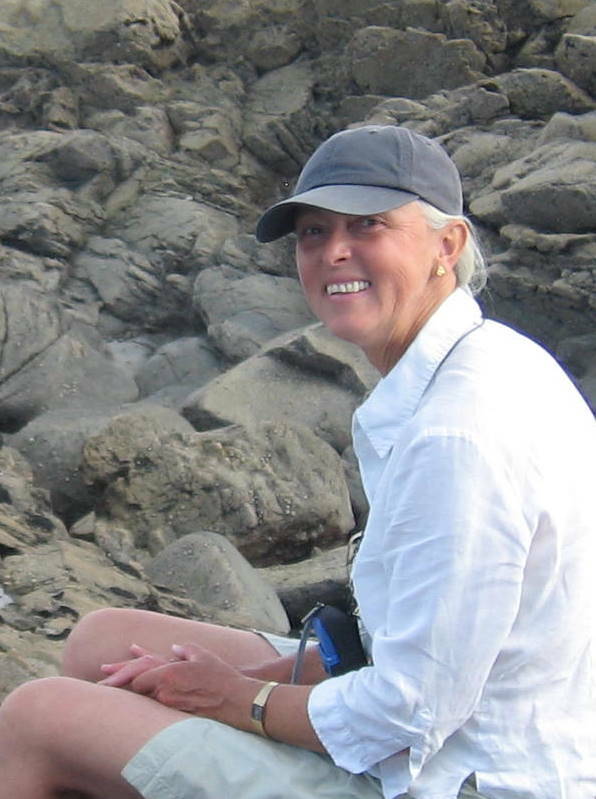 Over 47 years sea kayaking experience. Expeditions to circumnavigate Ireland by kayak, Outer Hebrides, Aland Islands, Faeroe Islands and Alaska. Plus, lots of sea and surf kayaking in the UK. White water-kayaking expeditions in Nepal to paddle the Tamur and Marsyandi Rivers. Derek wrote Sit-on-top Kayak. A Beginner’s Manual (Pesda Press). It is now in its second reprint and is also translated into French. Derek also writes articles for kayaking magazines. He regularly presents training/safety clinics to enable people to enjoy the coastline of Jersey in greater safety. 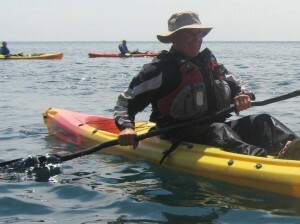 Derek Hairon is the author of the Channel Island and South East Coast Sea Kayaking guidebook (Pesda Press). Apart from kayaking, he has completed long-distance mountain walks such as the famous GR20 in Corsica. He also spent 18 months cycling 12000 miles around Europe. He loves skiing and speaks some French. Mick. Our expert at spotting Peregrine Falcons around the coast. British Canoeing (BCU) level 3 coach with Moderate Water Endorsement who has worked in the outdoor pursuit industry since 2000. He kayaked in the Argentinian Terra del Fuego, the southern tip of South America. An experienced rock climbing instructor, He was instrumental in introducing coasteering to Jersey and pioneered some of the classic routes. As a result, he knows a lot about the geology of Jersey. Mick now spends most of his time kayaking and is keen to pass on his knowledge of both the wildlife around our coast and the history of Jersey. WiSe accredited guide. Outdoor First aid trained, MLTB Summer, Single pitch climbing instructor. Sea Kayak Leader award. Jersey Tourism Bronze badge guide. Jersey Tourism Bronze Badge guide, Jersey Heritage Trust Seymour tower and Wild Life Safe trained guide. Outdoor First Aid. Food hygiene level 2. Just because a kayak coach/guide has a British Canoeing (BC) coaching award, this does not mean that they can kayak anywhere around Jersey with clients. At Jersey Kayak Adventures our staff can lead kayak tours and courses island-wide because they have the required coaching/ guiding grades and experience to operate within their remit. We invest in staff training to enable our staff to stay up to date with best practice and help them to obtain nationally recognised qualifications. We only employ local staff because they have more experience of our coastline and waters. BC certifies kayak coaches/instructors through a grading scheme running from level 1 (basic) to level 5 (advanced). BC level 1 coaches can only operate in designated areas. In Jersey, this means within very sheltered bays. Our level 1 coaches are usually found assisting more experienced guides. BC Coach (formerly level 2) can only operate in a few areas unless they also hold BC sea kayak leader. All our BC coaches undergo site-specific training and are only allowed to lead after they have been signed off to do this. BC coach levels 3, 4 and 5 require extensive training and experience and have an island-wide operating remit. All kayak coaches must undertake regular updates and be current members of BC to remain licensed to coach/guide. We support staff to gain additional qualifications and experience e.g. First Aid updates, attending British Canoeing coaching conferences, Bronze badge and Wildlife Safe (WiSe) guide training. Staff hold valid and up to date First Aid awards, satisfactory Disclosure and Baring Service (previously called Criminal Record Bureau (CRB) checks) and undergo Child Protection training as part of our staff induction training programme.